DUNEDIN, NEW ZEALAND--(Marketwired - June 01, 2016) - Leading currency exchange broker Your Trade Choice provides unique tools and resources for training new investors in the unpredictable and lucrative Forex market. The firm's focus on educating and supporting clients in this global market enhances the skills of even the most seasoned investor. Beginning traders benefit from the personal advice given through step-by-step direction on each transaction, enabling them to experience profitable exchanges early in their career. 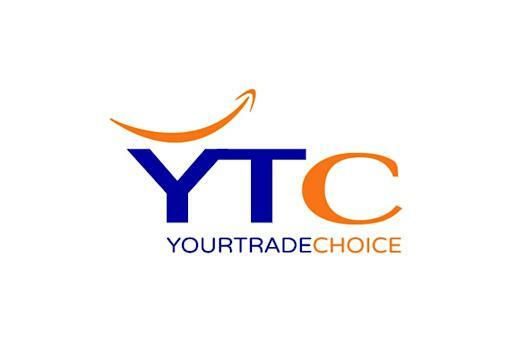 Your Trade Choice offers a wide array of educational tools and ongoing support through their 24-hour access to an account executive and individual consultations. Forex education is at the heart of the firm's vision to be more than just a broker service. Your Trade Choice provides detailed guidance, specialized reports for thorough analysis of every transaction, and expert advice through webinars and instructional materials. The company's professionals study the markets and the economic developments that influence trading to bring up to date advice to the clients. Your Trade Choice also runs a demo account to acclimate customers to the platform and allow them the opportunity to practice new strategies without using real funds. Clients of every level will see the difference as new investors enter the market with more confidence in their abilities and knowledge and seasoned traders develop new skills to increase their earnings. The ability to build wealth quickly is what entices many to the Forex market over traditional investments. With more than $4 trillion of currency moved every day and the ability to use leverage to increase earnings with a minimal investment, traders are willing to take on calculated risk for the prospect of great rewards. Your Trade Choice has developed a precise approach to reduce the level of risk without affecting the level of returns for its clients. While many brokerages do not focus on education, Your Trade Choice offers a wealth of tools to enhance learning. Providing specialized services that go beyond the typical broker firm is what makes Your Trade Choice unique. These resources are available for anyone who wants to understand the complexities of the Forex market and how to become successful in the industry. Your Trade Choice offers a state of the art MT4 platform with 24-hour assistance in the client's native language for a premiere trading experience. Based in New Zealand, the firm is a leading expert in the financial services industry, enabling clients to trade in the Forex and Contracts For Difference (CFD) markets. Your Trade Choice works with both private clients and institutions, providing analysts and advisors who are trained and equipped to assist with the most accurate and credible advice to all of its global clientele.